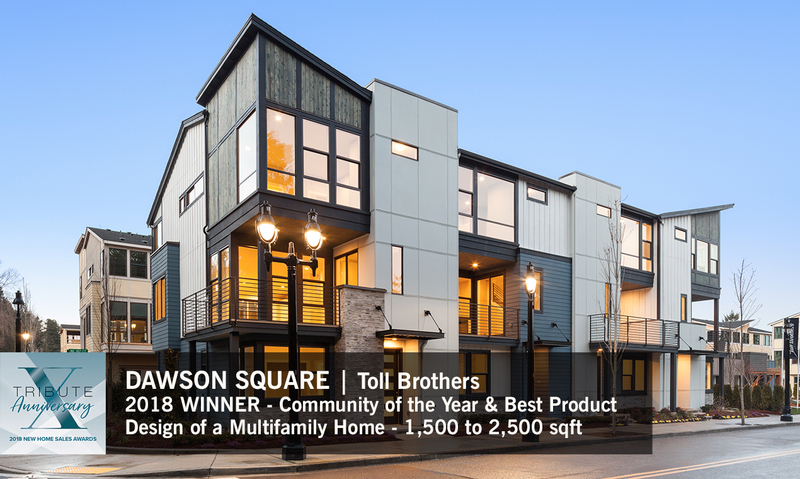 Two DAHLIN projects have won awards in The New Home Council's 2018 Tribute Awards. The awards ceremony was held at the Meydenbauer Center in Bellevue, WA on November 1, 2018. The New Home Council recognizes those frontline players who through innovation, creativity and just plain hard work, have carved out success in the past year, day-in and day out. These sales, construction and marketing teams have shown their stuff. You know who they are. Your teammates who never give up. The agent who inspires their team to new heights. Sales professionals who help customers make one of life's most important decisions. Let's recognize those who bring "game" with fresh ideas, brimming energy, and contagious enthusiasm. From star rookies to lifetime professionals who continue to learn and grow, Tribute celebrates these outstanding achievers every year.